Glycine is an important component of collagen, a protein fundamental to the development and maintenance of skin, ligaments and connective tissue. It is one of the trio of amino acids that create Creatine in the body. It is frequently found in supplement blends to serve the purpose of a “transporter” – amplifying the delivery of other ingredients. Glycine is also an important amino acid for the healthy functioning of the liver. Daily recommended dose is 1.5g - 1/4 of a metric teaspoon. 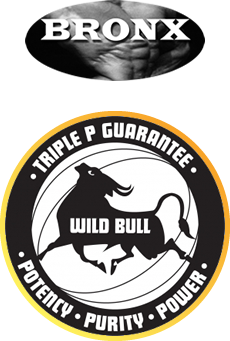 Bronx Wild Bull Pure Glycine contains no fillers, artificial flavours or sweeteners, no caffeine, no added yeast, soy, dairy or gluten, JUST PURE WILD BULL. 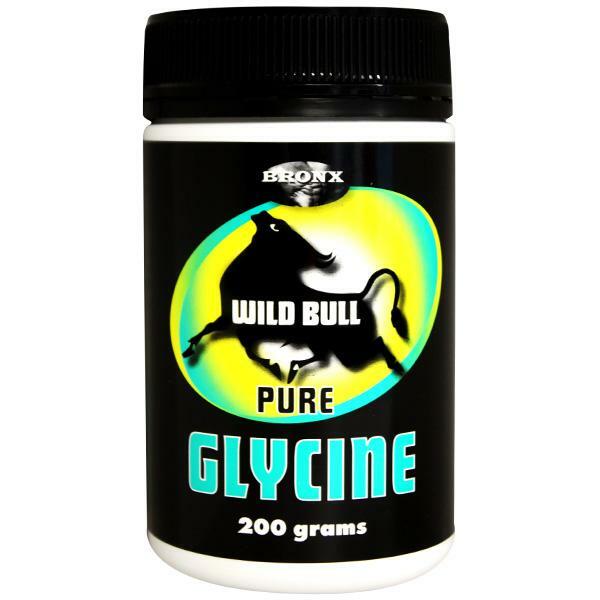 Bronx Wild Bull Pure Glycine is suitable for vegetarians and vegans.